Dr Dahlanuddin from the University of Mataram on Lombok Island in Indonesia recently visited Australia on a two-week Crawford Fund Training Award to study causes and management of beef calf wastage. Dr Dahlanuddin has been involved in a number of Australian Centre for International Agricultural Research (ACIAR) collaborative research projects to increase and improve beef production and transform the lives of smallholder farmers. Across South-East Asia, calf loss in beef breeding herds averages 20-30%, similarly, northern Australia experiences average losses of between 15-20%, significantly impacting production for farmers. Calf mortality is primarily caused by environmental and nutritional factors, with infectious diseases being an irregular primary cause. Similarities in cattle production and calf mortality between Indonesia, Timor-Leste and Australia highlight an opportunity to collaboratively develop and implement new systems for calf management. 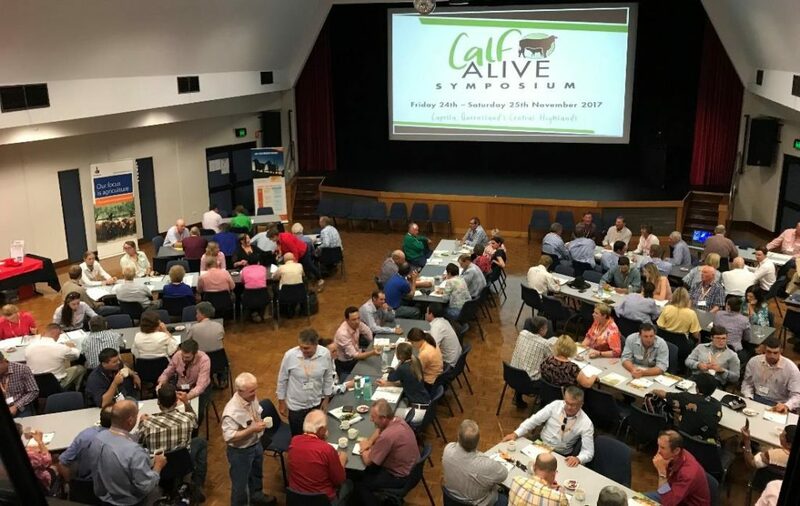 Dr Dahlanuddin, who is highly respected for his leadership in improving beef systems in Indonesia, undertook a training visit to Australia to share the Indonesian perspective at the Calf Alive Symposium and to gain an insight into Australia’s livestock management practices. During his stay in Australia, Dr Dahlanuddin was hosted by Geoffry Fordyce from the Queensland Alliance for Agriculture and Food Innovation (QAAFI) at the University of Queensland. QAAFI facilitated a range of training opportunities that focused on developing solutions for calf loss. As part of his training, Dr Dahlanuddin attended the TropAg conference in Brisbane, visited Animal Health Laboratories, working cattle stations and met with senior biosecurity managers from the Queensland Department of Agriculture and Fisheries (DFAT QLD). “The most memorable and valuable experiences I had on this training visit was being billeted to cattle stations in Central West Queensland to see first-hand the current practises of Australian beef farmers.” His training also focused on new developments in nutrition and genetic management strategies, specific diagnostics related to diseases causing neonatal calf mortality, and photography and video production training for research communication and documentation purposes. “This trip provided me with an opportunity to collaborate with leading cattle researchers and practitioners, and engage in their up-to-date research on the underlying causes and strategies to reduce calf mortality,” Dr Dahlanuddin explained. Dr Dahlanuddin already makes significant contributions to government policy and research, development, and engineering programs for beef cattle farmers in Indonesia and Timor-Leste. His influence on training programs in agricultural and animal sciences means that the knowledge and skills gained on this trip will have a significant impact on improving current practices in the region. The collaboration between Australian and South East Asian beef researchers and farmers will result in higher production and improved food security for the region.